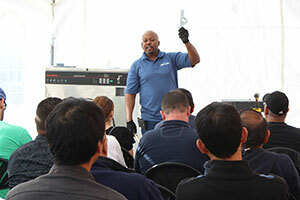 Taught by Speed Queen certified technicians, PWS holds free full day laundry equipment service schools once a quarter. Learn how to fix your laundry equipment for free during these in depth service school classes. Doors open at 9:00 am, with the classes wrapping up around 3:00 pm. Donuts and coffee will be served in the morning, with a lunch break at noon. Not only are these classes free, but during our January and June service school days, receive an extra 10% off parts purchases. And during our March and September classes, come for huge discounts on laundry parts and equipment.